Ayrton Senna da Silva (Brazilian Portuguese 21 March 1960 – 1 May 1994) was a Brazilian racing driver who won three Formula One world championships. He was killed in an accident while leading the 1994 San Marino Grand Prix. He was among the most dominant and successful Formula One drivers of the modern era and is considered one of the greatest drivers in the history of the sport. He remains the most recent driver fatality in Formula One. 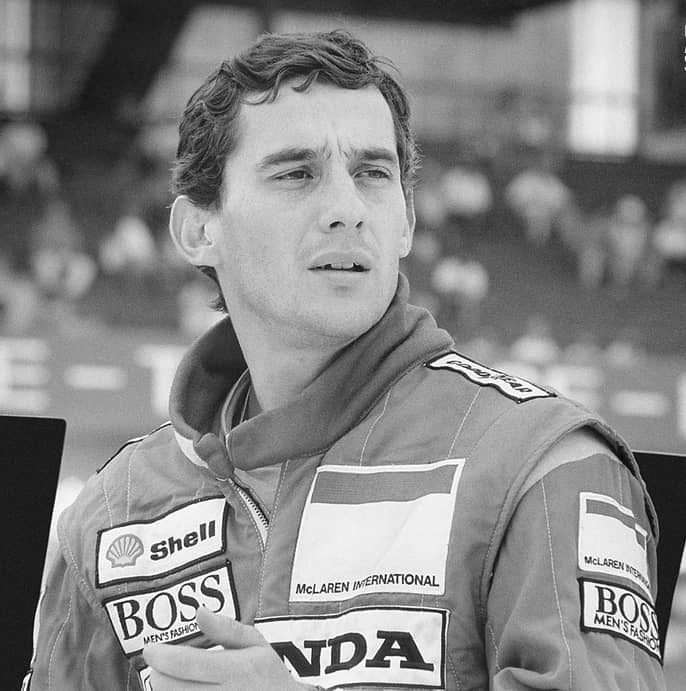 Senna has often been voted as one of the greatest Formula One drivers of all time in various motorsport polls. He was recognised for his qualifying speed over one lap and from 1989 until 2006 held the record for most pole positions. He was also acclaimed for his wet weather performances, such as the 1984 Monaco Grand Prix, the 1985 Portuguese Grand Prix, and the 1993 European Grand Prix. He holds a record six victories at the prestigious Monaco Grand Prix, and is the third most successful driver of all time in terms of race wins. Senna courted controversy throughout his career, particularly during his turbulent rivalry with Alain Prost. In the Japanese Grands Prix of 1989 and 1990, each of which decided the Championship of that year, collisions between Senna and Prost determined the eventual winner.